A recent survey that was conducted to evaluate people’s response towards term life insurance policies brought out some interesting facts. It was found that a majority of people did not “like” term insurance, mainly because of its low cash value, despite the fact that term policy is one of the cheapest plans available. Although a small number of people do purchase a term policy, they are not entirely convinced about the benefits. However, you cannot deny the numerous benefits that this policy offers. Here is a paradox. According to another study, term insurance is the dumbest policy available in the market. The reason for calling the policy “dumb” is the fact that only 2 percent of people collect on it. 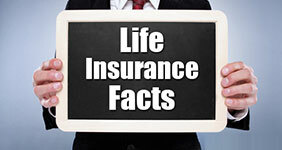 This means that 98 percent of people do not receive appropriate value for the money they spend on life insurance. Although this study does bring out this shocking fact, experts refuse to call term policy “dumb”. They give the following reasons for it. Considering these facts about term insurance, you definitely cannot call it dumb. The only drawback that you find in this policy is the low cash value. So, if you are ready to increase your monthly expenses by paying higher premiums for the want of higher cash value, instead of paying lower premiums for a robust death benefit, the choice is entirely yours.